Hofesh Shechter is one of world’s most visionary and exciting choreographers working in the field of contemporary dance. STRUT Dance is working with the Hofesh Shechter Company over three years to develop a new creation in 2020. 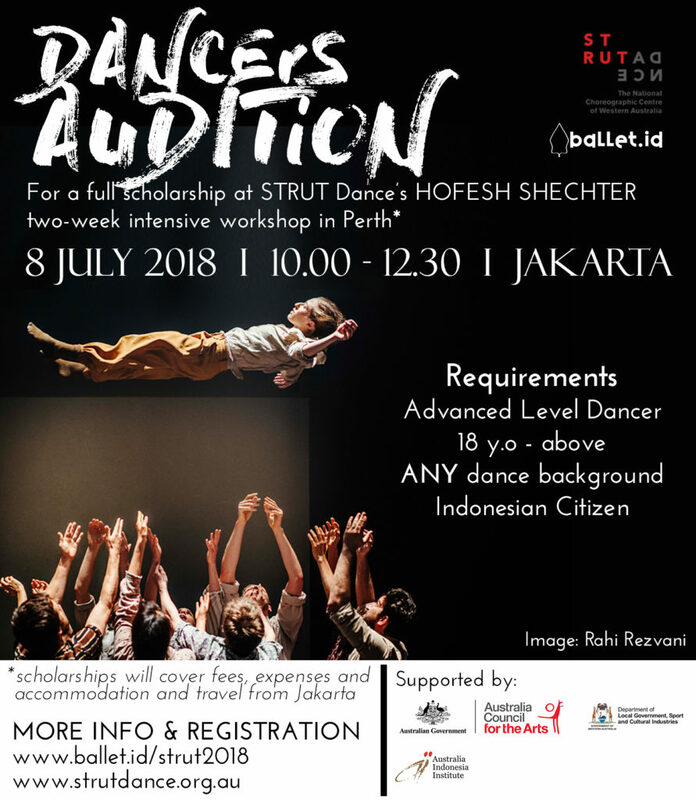 STRUT will provide a full scholarship to cover the workshop fees, STRUT membership, travel expenses (Jakarta – Perth – Jakarta) and accommodation. There will also be a stipend towards daily expenses. This opportunity it supported by: the West Australian Department of Local Government, Sports and Creative Industries, The Australia Council, The Australia-Indonesia Institute - Department of Foreign Affairs and Trade and The Australian Embassy Jakarta.